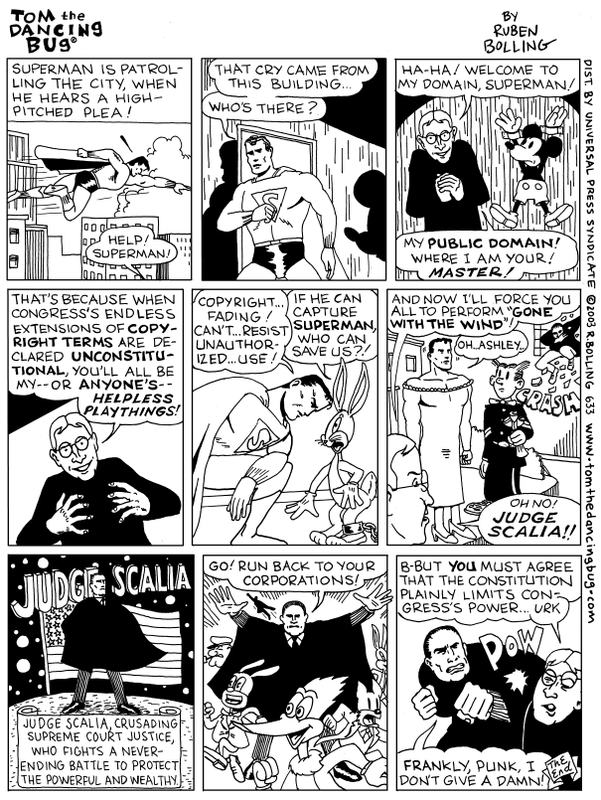 Funny comic about public domain/Sonny Bono. Too bad the reality didn’t turn out that way. Here’s a nice article about what to do if you can’t find the copyright owner to get permission. Nice article about fair use by Mary Minow, J.D., A.M.L.S., which unfortunately doesn’t go into the judicial history of each of the 4 fair use standards. Here’s the section on De Minimis use.